Heechul began, "As you know, I was not able to go to Macau [for Super Junior's comeback MV filming]. So it looks like I will not be able to participate in the comeback." He continued, "I debated a lot. I said to myself, 'How long am I going to make excuses saying that my foot and my leg hurts', and it's not exactly an excuse but, I can't exactly say I'm injured forever. But I still need to restore my health. Health is the most important. Our E.L.Fs need to be healthy too! But I'm not healthy right now, so if I just 'pretend' like I'm participating in the comeback by just being in the MV and in the jacket photos, then it doesn't sit well with me and I feel sorry. It sure is sad, to be unhealthy is a sad thing." 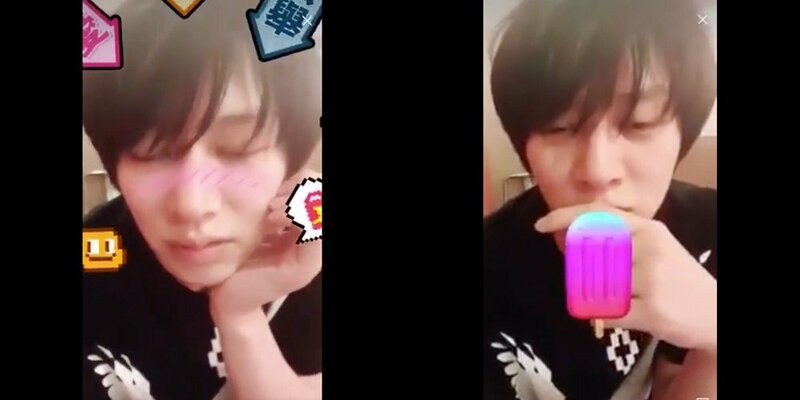 Check out clips from Heechul's Weibo live, below.